In 1876 Winchester introduced a new lever-action rifle; they called it the “Centennial Rifle” in commemoration of the United States’ 100th anniversary. 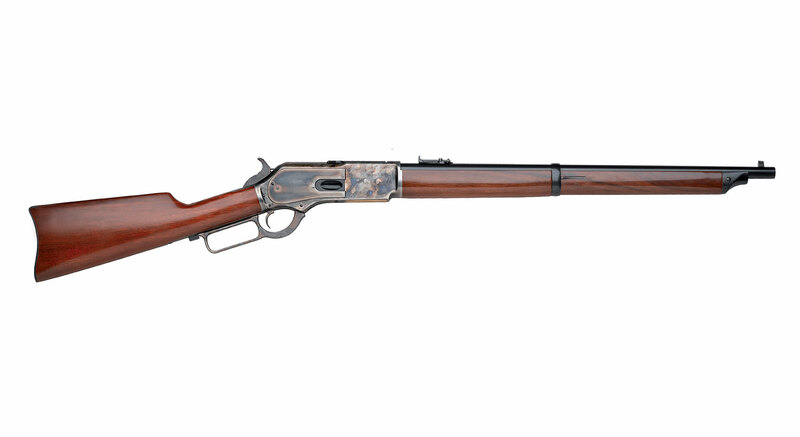 Winchester’s Model 1876 was discontinued in 1898, after 63,871 guns had been produced. For 2008, 132 years after the first 1876 Rifle was produced by Winchester, Uberti introduces an exact replica of the Winchester “Centennial Rifle.” True to the original, Uberti’s 1876 Rifle is chambered in the hard-hitting calibers: .45-60, .45-75, .50-95 and .40-60—strong enough to take down North America’s largest big-game animals. It also comes with a 28″ octagonal barrel, fully-adjustable sights, color case-hardened receiver and walnut straight stock and fore-end. 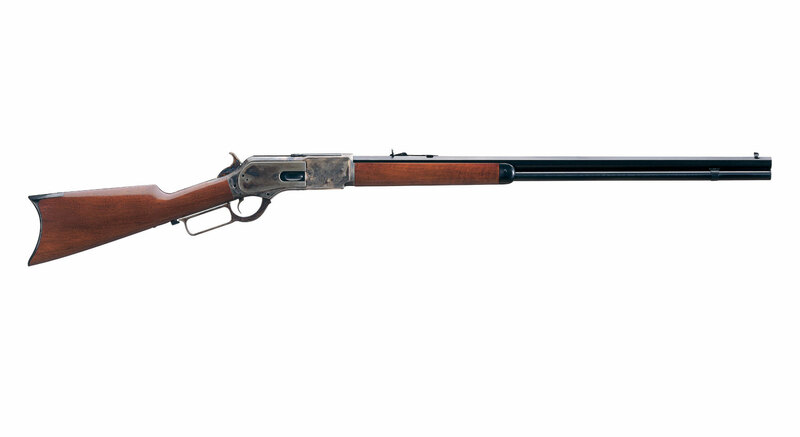 Favored by the likes of Theodore Roosevelt, the 1876 “Centennial Rifle” was the King of its day. Uberti has brought this legend back to life, only better than before. Better, stronger materials and more precise machining, enables Uberti to replicate the original model to more exacting tolerances and specifications, making it stronger and more accurate with today’s modern smokeless and blackpowder ammunition. When you pick up an Uberti, you’re holding history in your hands!